The city or town in which you live might be plagued by rascally squirrels, accustomed these days to the taste of french fries or Flamin’ Hot Cheetos. Or maybe it’s home to emboldened pigeons eager for a bite of your ham sandwich. But pity the residents of Canberra, Australia, which has this month been overtaken by hungry kangaroos. While Canberra is home to a few dozen wildlife reserves, a combination of cold nighttime temperatures and very little rain during June and July have forced tens of thousands of kangaroos out of those reserves and into the main city in search of food. Grassy areas like sports field, road medians, parks, and residential yards have become magnets for scores of famished marsupials, which are increasingly in danger of being hit by vehicles as they roam around the streets. While kangaroo meat is edible, culling the animals is illegal in most parts of Australia. 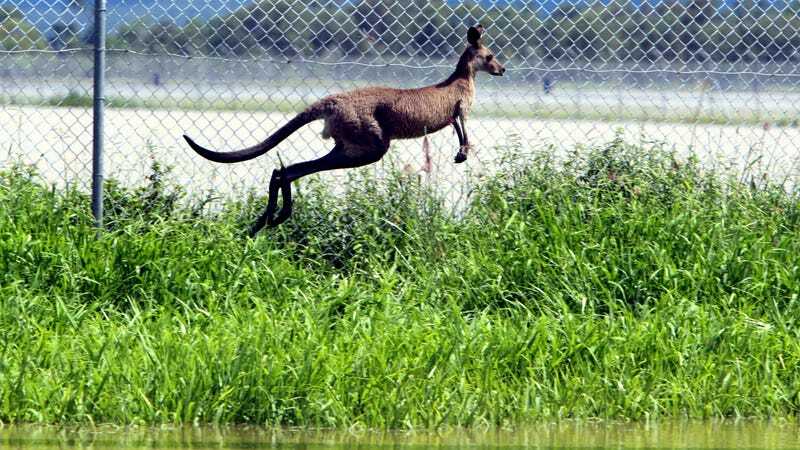 The Australian Capital Territory government, which governs the Canberra area, did conduct an annual cull this year, but it failed to stem the tide of kangaroos pouring into the city. According to 2016 figures cited by CNN, Australia is home to approximately 20 million more kangaroos than people.